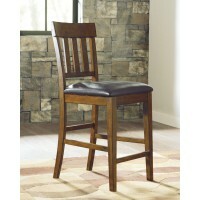 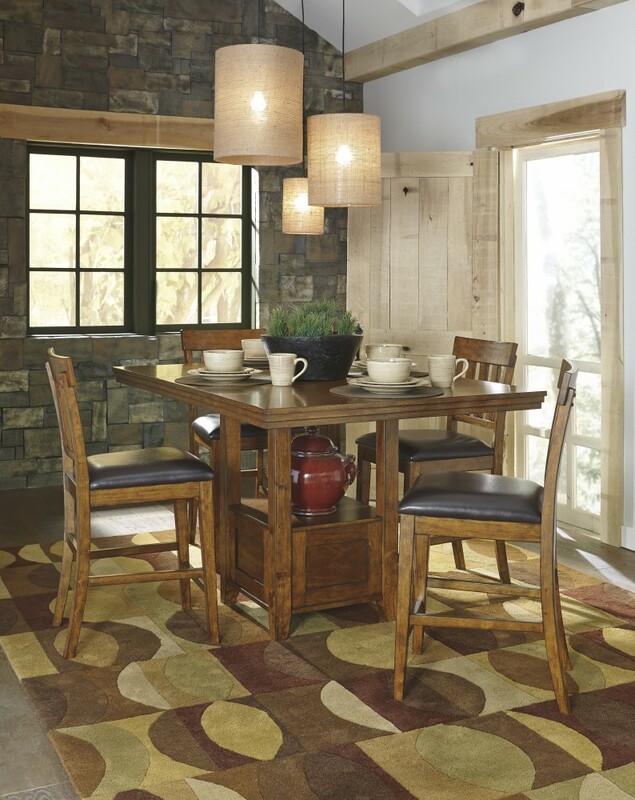 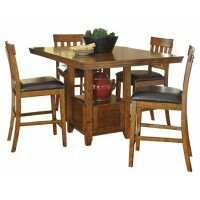 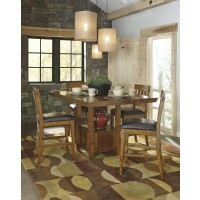 Made with select acacia veneers and hardwood solids. 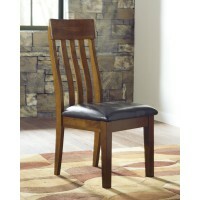 Gently distressed and burnished dark brown finish. 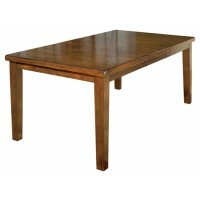 Planked table design has thick look tops with butterfly leaf. 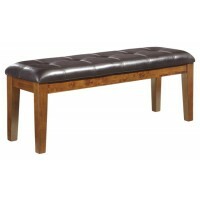 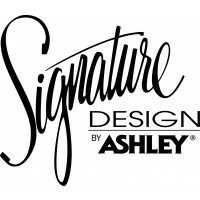 Seat covers in brown faux leather. 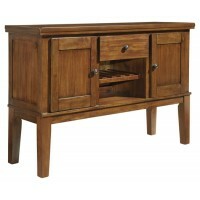 Server features a working drawer along with 2 doors and wine storage.